Inside: Here are 6 of the best Christmas books for kids. Filled with laughter, holiday magic, and meaningful lessons, these Christmas books will bring the Spirit of the Season into your home and into your children’s lives. Make time to read them! The holidays are upon us and the hustle-bustle and madness of the season are in full swing. Despite the craziness, don’t you love this time of year—the lights, the decorations, the music, and most of all…the Christmas books? Filled with laughter, holiday-magic, and meaningful lessons, Christmas books bring the Spirit of the season into our homes and into our children’s lives like nothing else can. Last year I shared 6 of our treasured family Christmas books. This year, I’m sharing 6 more. In Iceland, books are exchanged as Christmas Eve presents. Each child/parent spends Christmas Eve night in bed reading these books and eating chocolate. This tradition is called, “Jolabokaflod” or “The Christmas Book Flood.” Iceland publishes more books per capita than any other country and sells most of its books between September and November as people prepare for this upcoming holiday tradition. 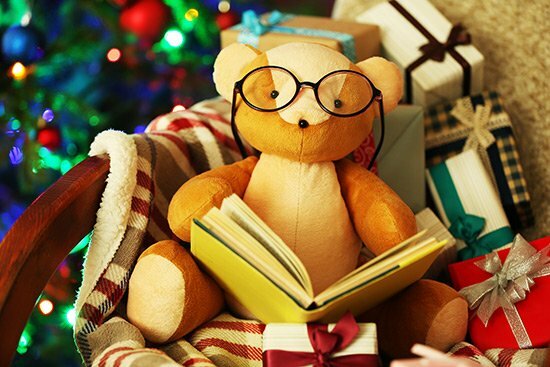 32 Of the Best Christmas Books for Kids Ever! At the end of this blog is a link to my Resource Library where you will have access to my extended list of 32 of the Best Christmas Books Ever! Enter your email and you’ll receive the password to get into the library absolutely FREE. The holidays are the perfect time to read Christmas books to your children. 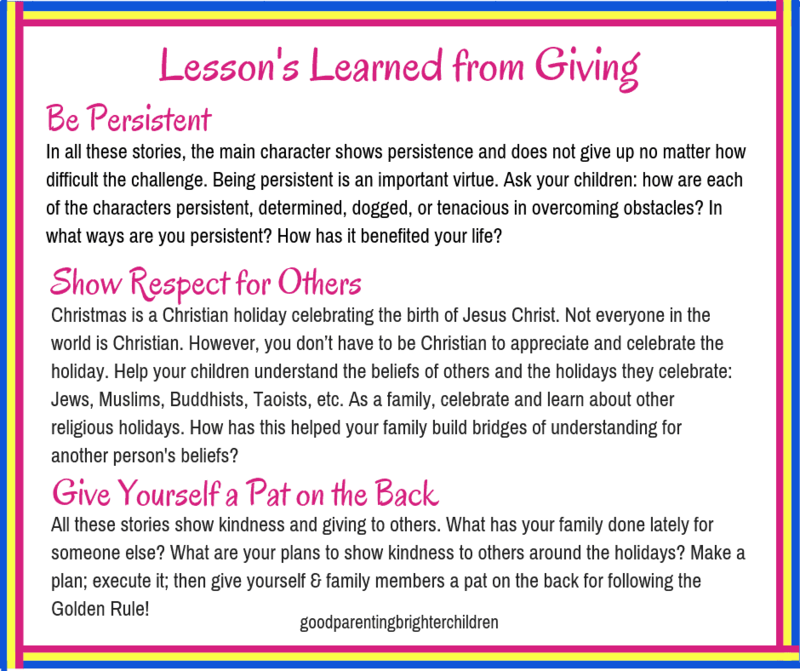 Access 32 Christmas books on my Resource Library–they will become family favorites! 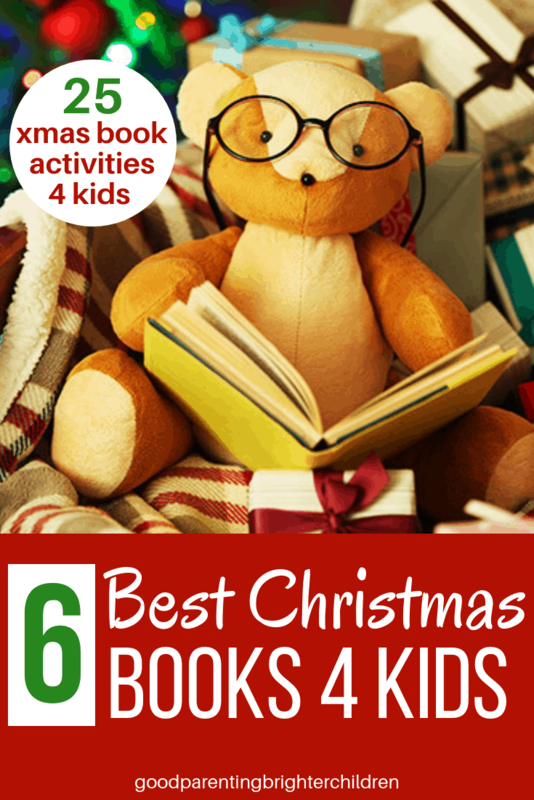 Here are 6 Christmas books including a synopsis and activities for each (total of 25 activities). All have amazing Christmas messages. Growing up, did you love visiting your grandparents? Why? What made it so special? Are there forever memories of those occasions locked in your mind? Daniel Mark Epstein of Love’s Compass talks about the visits to his grandparents’ house and the vibrations and feelings he felt in their home even at the age of 5. He said the vibrations sounded “like the diminishing echo of a cello chord.” It took until he was 25 years old to finally discover what the mysterious vibration was. It was love. The love his grandparents had for each other and the love they felt for their children and grandchildren. That powerful emotion literally made the house ring and vibrate as only love can (scientifically, the emotion love really does vibrate). Grandparents and even the homes they live in are synonymous with love. Especially around Christmas. Here is a story about a gramma and love. Grandparents and their homes are synonymous with love. Grandparents: make the holidays special for your grandkids–plan fun activities that they will forever cherish and remember! This is a story about Christmas, a special Gramma, her house, and an old brown piano. For Clee and her brother Simon, there was always something magical about Gramma’s house…especially at Christmas. The musical sounds, the smell of baking, the feelings of love. It was all there. But this year, Clee’s Gramma is moving to a new place on the other side of town. Her house is empty. There are no decorations, no music, no delicious smells. All that is left is her old brown piano that can’t hold a tune anymore. 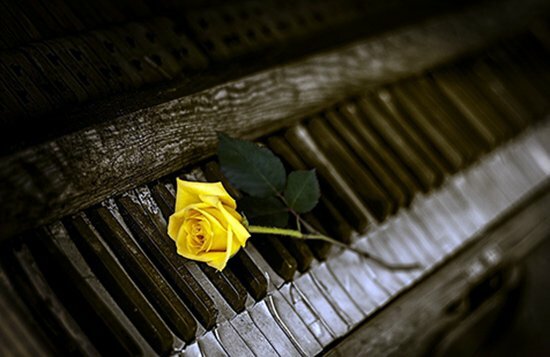 Her new apartment is too small for the old brown piano and a grumpy old man who sees only a broken-down piano with chipped ivories is ready to haul it away. But before doing so, Gramma sits down one last time to play Christmas songs on the old piano for her grandchildren. And as she does the room comes alive with laughter, warmth, and love. What happens to the old brown piano? Gramma and her new apartment? Christmas and the grandkids? This is a heartwarming Christmas story that will warm your toes, the tips of your fingers and reinforce your belief in the power of love, traditions, and miracles. It also illustrates the profound relationship between grandkids and their grandparents. The old brown piano of Gamma’s was special to Clee and her brother Simon. They didn’t want Gamma to give it up even if she had to move into an apartment. What are some of the treasures your grandchildren love about your home? Create activities that will forever stick in your grandchildren’s memory banks. And photograph the event—nothing like pictures to recall all the amazing details that memories leave out! Rinse and repeat next year. This book is based on a true story. In 1886 a young couple began their life together in the Colorado wilderness; taming the wilds as they clear the land, build a cabin and plan for a baby. However, an unexpected harsh winter storm descends upon the Rocky Mountains, burying the couple in fierce wind, snow and freezing cold temperatures. Their supply of wood quickly diminishes and they are forced to consider cutting down a beautiful spruce tree beside their cabin. A dilemma arises when they discover it is home to a family of geese and one is injured. If they cut down the tree, the geese family will die. This is a poignant story about family, new life, animals, and love. It will warm your family’s Christmas season while reminding you of the power of love and concern for even the smallest of creatures. 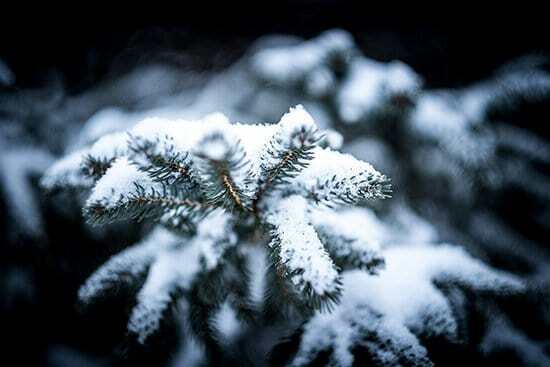 The beautiful spruce tree outside their cabin could supply them with the wood they would need to get through the harsh winter. But if they chopped it down, the family of Canadian geese would die. What should they do? What would you do? Do you have an animal shelter in your community? Volunteer as a family to help with the animals–cleaning, feeding, walking the animals or anything else that is needed. Working with animals is richly rewarding! Build a bird feeder for the birds that stay in your community during the winter. If you live near an area with deer–provide a salt-lick for the deer or even food. This is the story of the honest Dutch baker, Van Amsterdam who learns the meaning of giving. Amsterdam is a busy baker because he can be trusted to always give exactly what his customer’s pay for. Christmas is a hectic time for the baker because people flock to his shop to buy his gingerbread Saint Nicolas cookies. The ones with red and white icing. One day a woman comes in to buy a dozen of the cookies. Amsterdam carefully counts out 12 but the woman insists that a dozen is 13, not 12. He refuses to give her more and she leaves, cursing him as she goes. From then on everything goes wrong with his bakeshop and soon people stop coming. Reduced to poverty, Amsterdam has a dream one night before Christmas where he learns the true meaning of giving. Based on his dream, he decides to give more…not less. Do you know where the term, “a baker’s dozen” came from? This heartwarming story will tell you all about it! Make up a double batch of sugar cookie, butter cookie or gingerbread cookie dough. Divide the dough in half. 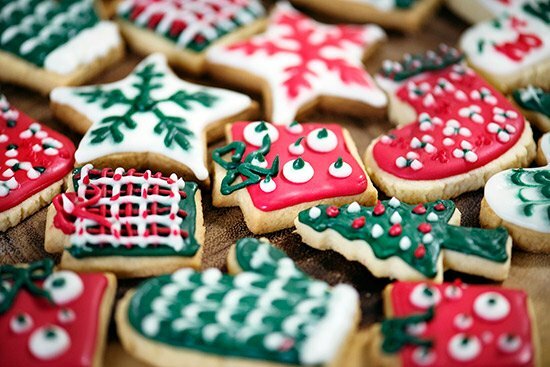 With one half, make, bake and decorate cookies with your children. Written in poetry-fashion this is another reminder that Christmas is about giving and not to get carried away with all the Christmas trimmings, decorating, shopping and gifts and forget the meaning of the season. The story of the Berenstain Bears will warm your heart as Papa Bear learns the true meaning of Christmas while trying to find the perfect Christmas tree. Choose someone to help during the holidays. Is there a family in need? A shut-in? Homeless? A stray animal in need of food or shelter? In this world, it’s not difficult to find someone who needs something at Christmas time. Decide on a budget and get to work—there’s nothing like Christmas giving to get your family experiencing the true meaning of Christmas! 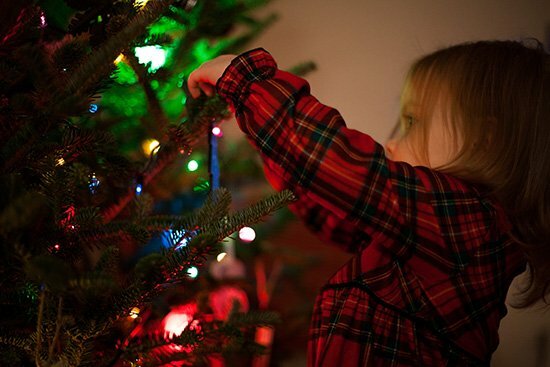 Help a shut-in, older person or busy mom decorate their Christmas tree. This is a true story that took place in Europe after World War II. It’s the story of Gail Halvorsen, a young pilot in the US Army Air Corps who was assigned as a cargo pilot in the Berlin Airlift. This organization flew much-needed supplies into a Soviet-blockaded Berlin. One day Halvorsen notices about 30 German children standing by the fences at Tempelhof Air Base. He begins to talk to them. They ask him questions about the airlift, about the supplies they are bringing, and if it will continue. He’s touched by their gratitude for the airlift and reaches into his pocket, pulls out 2 sticks of gum and gives them to the children. Two sticks of gum don’t go very far with 30 children, but Halvorsen is impressed by their sharing. Then he has an idea—he tells the children he wants to give all of them some candy, and he will drop them from the air from his plane. To help them recognize the plane, he will “wiggle” the plane’s wings. The result of this seemingly small act of kindness had a powerful rippling effect. It brought peace and hope to former enemies; parent’s hearts were softened, and the wounds of war began to heal. When Halvorsen was growing up, his father used to say to him, “From little things come big things.” It taught him that even though his efforts may be small, they can have a BIG impact. Christmas is a time of giving. It’s a time when hearts are turned to those struggling or less fortunate. Investigate in your community, state and nation ways that your family can be involved in a project to help the less fortunate. Here are some ideas that may seem small, but can have a big impact. This Bar Saves Lives: this organization was started by a young man who created a nutritious gluten-free granola bar that when purchased here in the US, the funds are used to purchase packets of life-saving food to a child in need in developing countries. One type of food they deliver, Plumpy’nut is a revolutionary product that has saved children from death. Project Linus: a hospital program that provides blankets for sick children. Families can donate blankets, time, materials, etc., to the program. Gotta Have Sole Foundation: this organization was started by a young boy who wanted to purchase shoes for homeless children in communities all over the US. Handbags of Hope: if you have teenage daughters, get them involved with this organization. They collect gently used purses and handbags and fill them with essential daily items for teens and women in shelters. Along with these items, each purse contains a hand-written note to the mother or teen that includes words of support and encouragement. The “straw that breaks the camel’s back” is a simple piece of straw given to him by a little child wanting to give the baby Jesus the only thing she has to give. (btw; the author makes the gender of the child neutral—the child can be male or female—allowing any child to relate. I’ve made the child female for grammar usage). The most important reason we celebrate Christmas is the birth of the Christ Child. Talk about wonders of Christ’s birth and relate the stories of the shepherds, wise men, and stars. Christmas is a holiday celebrating the birth of Jesus Christ, the Son of God. 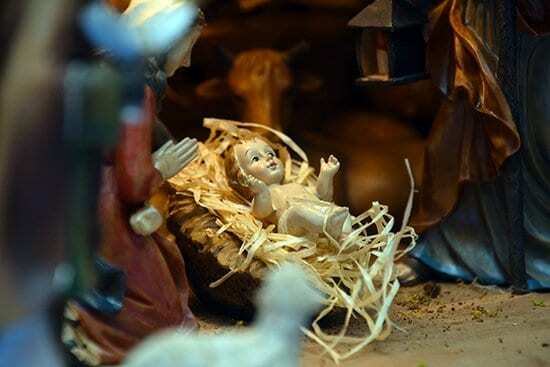 This story illustrates the importance of one simple gift to the Christ child–a piece of straw–and how it impacts a camel’s life. The story illustrates how we get burdened down with so many things in life that we forget to make room for the simple things of life that have significant meaning. Ask your family how everyone can focus on the important things of life and not get bogged down with things that don’t matter. 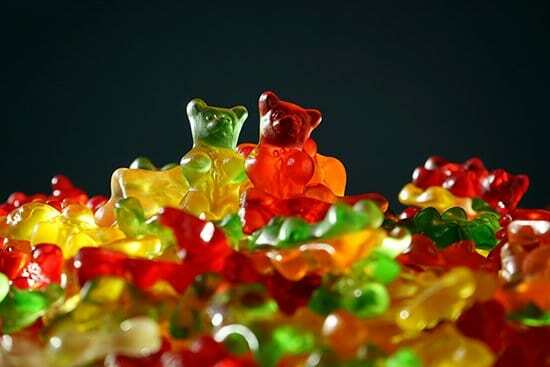 It’s easy to focus on ego (Hoshmakaka is stronger than 10 camels) and forget what really counts. However, it’s his ego that gets Hoshmakaka to the Christ Child. Ask your teens: how can you temper ego? The little child who gives the smallest gift of straw provides the greatest lesson. It’s the gift that breaks Hoshmakaka’s back—humbles him and drives him to his knees at the foot of the Christ Child. Ask your kids: why do simple things send us to our knees and help us see the most important things right before us? No doubt, you and your children will fall in love with these books! Add them to your Christmas collection. Make them your Christmas favorites! Want to remember this? 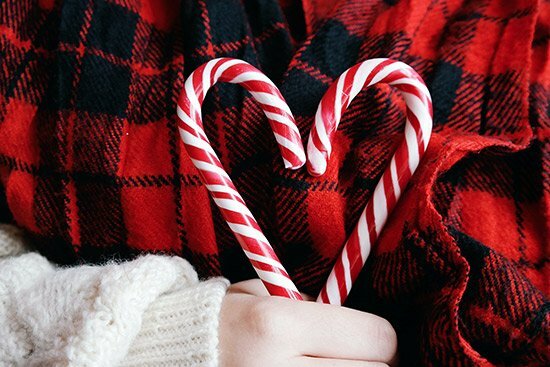 Post these 6 Best Christmas Books ideas and 25 activities to your favorite Pinterest Board! What a wonderful list of Children’s books you have here, Sharlene! Berenstein Bears were always my favorite as a child and it brings a smile to my face to see them make your top picks! I love how you added a “Teaching Tips for Parents” section to this post. As a former teacher, I know so many parents who want tips and tricks they can use to help their children but don’t know where to start. If I were still in the classroom I would definitely send these parents to your website because you really know how to empower parents to be wonderful teachers for their own children. 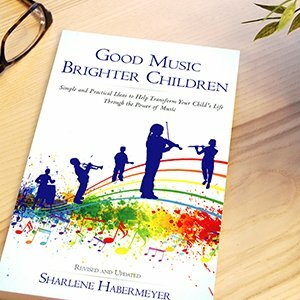 You are doing an amazing job of showing how good parenting can help build brighter children. Happy Holidays! Thank you so much, Tiffany, for your kind words! Like you, The Berenstain Bears were always a favorite at our house. Glad you like the Teaching Tips Section–parents are so busy–hopefully they can grab something quick from that section and use it with their kids. Again–appreciate your support!